Iker Casillas may be widely considered to be the best goalkeeper in the world, but that might not be good enough to see him return to the Real Madrid first team this season. The 31-year-old is recovering well from a fractured hand sustained in January when he was kicked by team-mate Alvaro Arbeloa in a freak incident in the Copa del Rey clash against Valencia. The Madrid captain has stepped up ball work and is expected to return in the next two to three weeks, but he will have to fight for his place due to the fine form of the man signed to step into the void. Diego Lopez was quickly snapped up from Sevilla by Jose Mourinho following Iker’s injury and has been first choice ever since at the club where he began his career, making only one obvious mistake (when he made a mess of Riki’s long-distance effort in last month’s 2-1 win at Deportivo La Coruna), and starring in the two recent wins against Barcelona and the Champions League last-16 second leg at Manchester United last week, when his coach reserved special praise for him. The former Villarreal goalkeeper made several saves as 10-man United piled on the pressure in the closing minutes and ensured his side’s passage to the quarter-finals. Also impressive in the Copa del Rey semi-final games versus Barca, the starting spot is now his to lose, and given the Galician’s form in those season-defining clashes, Mourinho will be extremely reluctant to bring back Iker. The Portuguese coach is notoriously superstitious and will want to stick with the players who have turned around the club’s season over the last few weeks. And Lopez is one of them. Tensions between Iker and his boss will not help the keeper’s cause, either. 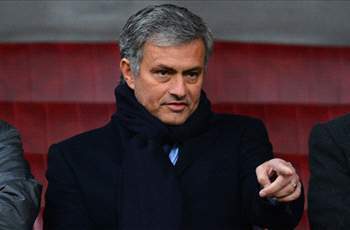 The Spain skipper has described Mourinho as the best coach he has worked with, yet the pair’s rocky relationship has hindered the team at times this term, with Iker dropped for two games either side of Christmas, when the 50-year-old questioned his captain’s commitment and concentration, picking Antonio Adan instead. Lopez has held the starting spot since Casillas’ injury, however, and Mourinho is known to admire tall and commanding keepers in the new man’s mould. The Portuguese has also been unhappy with Casillas at set pieces, a real problem for Madrid this term, but one which has shown signs of improvement with Lopez in goal, while Iker’s absence also allows him to select an outfield player as captain. Very soon, then, Mourinho will have the luxury of choosing between two top goalkeepers. When Casillas was left out of the side earlier this season, Madrid’s hierarchy were unhappy at their coach’s decision. Now, however, the Portuguese is likely to be backed by the board in whomever he chooses, with president Florentino Perez hopeful the team will claim not only the Copa del Rey, but also La Decima – a 10th crown in Europe’s premier club competition. So as things stand, Lopez could stay in the side all the way to Wembley – even if Iker regains form and full fitness in the coming weeks. This entry was posted in Club news on 10/03/2013 by mirsinho.